Websites are the face an organization presents to the world. The first point of contact for many customer s or potential customers to an organization is their website. A website has about 30 seconds to grab the attention of the average visitor before they move on to the next site. Writing for the web is different from writing for other forms of publication. For one thing, visitors to websites scan the content and will decide in less than a minute whether what they are seeing is something they need or is something of interest to them. Organizations need to find just the right combination of words, pictures and graphics to make their website effective. Websites including blogs need to have their content updated frequently and their design reviewed periodically to make sure it looks fresh and new. Everyone has access to the content of a website. That includes regulators and auditors who may periodically go to an organizations website and look at such things as the revision dates on documents posted on a site, hyperlinks to websites and references to laws, regulations, etc. to ensure everything is accurate and up to date. 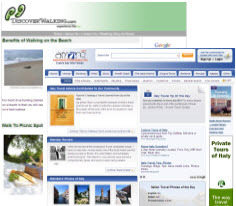 VDSI had a number of clients that needed original website content. The clients were very diverse ranging from farmers selling grass fed beef to a client that sold portable saunas. My first tasks in developing website content are to conduct reserach on the product or service, look at competitors websites and determine how the client is differentiating themselves from their competition. I also get a feel for the organization, it is important that the words on a website represent the organization. "Jackie Willey has been a ghost writer for search engine and customer targeted articles for several of my client’s niche Internet sites. Jackie had to take on the voice of the website owners, learn their marketing message and write as an authority on the subjects. She quickly learned each topic and delivered 100% original content on time and on budget. The articles still draw customers to to my client’s websites via key phrases in Google. I would definitely use Jackie Willey’s services again and highly recommend her to my clients." – BJ Mattarella, Vice President VDSI, Inc.
Are you ready to get started on developing content for your Website? An initial consultation is only $100. Here is what you get. The $100 fee is applied to the cost of developing content for your website if you decide to use Jackie Willey. Jackie Willey is available for a free 30 minute consultation to discuss developing content for your website and help you develop the best strategy to meet your needs.